One of the best in ear gaming headphones is produced by Enhance. This manufacturer is relatively new on the market, but that doesn’t take away from its performance and quality. Enhance offers a serious amount of affordable high-quality products, and these gaming headphones belong to that category. Anyhow, in this review, we will be describing Enhance mobile gaming earbuds by its most powerful weapon- its features. So, let’s start. One of the biggest differences about these earbuds is the vibrating response. In other words, having the vibration whenever there is a gunshot, an explosion, or other low-frequency sounds might simply boost the overall performance and enjoyment. Simply put, tactile reality engine responds to bass frequencies with tactile feedback for an immersive gaming experience. Therefore, if you have not met with the vibration on earbuds yet, this might blow your mind. In other words, a compound of a sound and vibration is a new age thing that slowly conquers the market. Whether you have a tablet, smartphone, Nintendo Switch, Xbox One, or a PS4, you will be able to easily use the 3.5 mm input to connect it to these devices. Once done, you will be able to fully enjoy the sound and magic that virtual world brings. Nevertheless, there is a splitter which you could use to connect the sound and mic inputs on your PC. As we can see, these earbuds offer a wide list of platforms to work with. 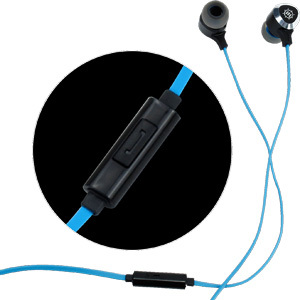 However, these earbuds are lightweight and you can easily port them wherever you go. Even professional players use them on their journeys. Simply speaking, Enhance is a perfect choice for on-the-go gaming. With the weight of only .75 Oz, the earbuds excel on different fields, such as portability, comfort, and overall performance. 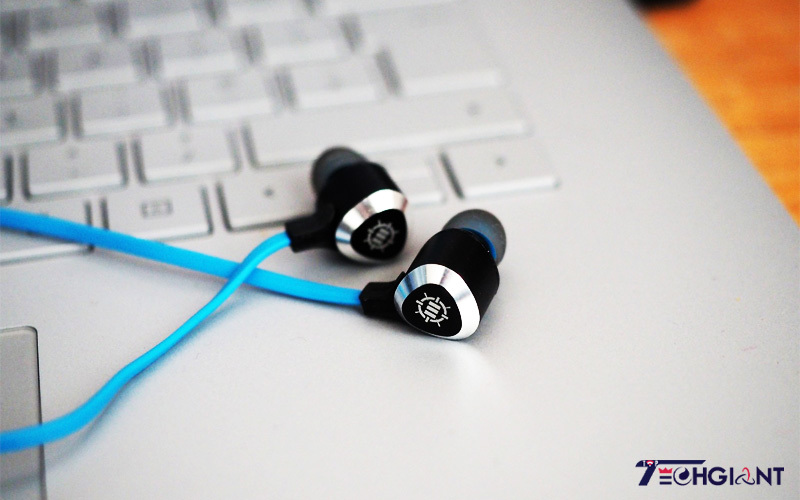 Due to its anodized aluminum housings, these earbuds will successfully resist wear and tear, corrosion, and unwanted damage. This way, the durability of the product is raised by a lot. Other than that, the cable is made of the finest materials, which will increase its durability to a maximum. The usual cable breaking that can be noted on a standard earbuds should not happen with Enhance. Simply put, Enhance has shown great effort in making durable earbuds with a strong cable that won’t be damaged even if constantly twisting. However, the overall durability of these Enhance earbuds is guaranteed with 3 years of warranty that manufacturer offers. When buying Enhance earbuds, in a pack, you will get EVA carrying case, 3 sets of S/M/L ear gels, PC channel splitter, and a pair of silicone in-ear support hooks. These items should come handy, and increase the overall comfort that these earbuds offer. Enhance mobile gaming earbuds have a built-in microphone with end/take call button. This will ease the overall control of the earbuds and help you easily switch from an intense game to saying “hi” to your friend- just press it. However, this mic is a great quality mic that will try to separate your own voice from those that are in the background. Simply put, your teammates will not hear your dog barking in the background or a car passing through. That way, the communication should be at its optimum, and as you know- a communication is a half of the job in team play. Now, when it comes to comfort, these earbuds might be the most comfortable out there. First of all, they are lightweight and won’t hurt your neck, like some headsets can do, and secondly, there is so-called “ear support”. This ear support is removable and basically, it helps your earbuds to stay in optimal position. In other words, this support is in charge of your comfort. The great thing about earbuds is their advantage over headsets in general. There are 2 things that are behind this state. First one is that they are much lighter, which makes them more portable than headsets, and secondly, the heaviness of a headset during long-time playing might sometimes be more torture than a pleasure. These problems you shouldn’t find with Enhance earbuds. With a frequency range from 20 Hz – 20 KHz you will be able to hear distant weapon reloading, voices, or casting ultimates and spells that should help you and give some advantage, spatial awareness or knowledge that certain spells are on cooldown. Simply speaking, the sound quality that these earbuds offer is a sort of an advantage that you have over your enemies. Once you dive into the world of gaming with these ENHANCE Mobile Gaming Earbuds, you will definitely forget that you put them on your head, and enjoy peacefully in your favorite game. Now, these Enhance earbuds belong to an affordable price point category. They are an absolute must for every pro gamer who needs on-the-go sort of earbuds. Even though they are at this affordable price point category, their quality is out of the discussion. As a great guarantee of the quality, the manufacturer gives a warranty of 3 years. This speaks for the product pretty much, as its own manufacturer believes in these earbuds. Other than that, you will get a great sound quality with vibration for the even cooler gaming experience. Anyway, we hope that this review made your choice a bit easier.